Custom signage is also available. Broadcast Desk Rental. 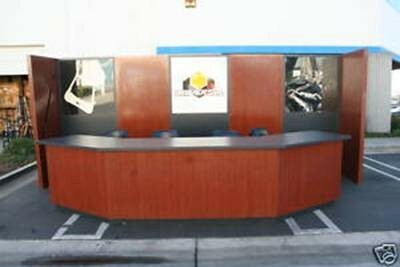 This broadcast desk also comes with a matching back. Great for any event.